Sobrarbe-Pirineos Geopark organizes throughout the year various activities: meetings, field trips, training workshops, seminar, etc ... 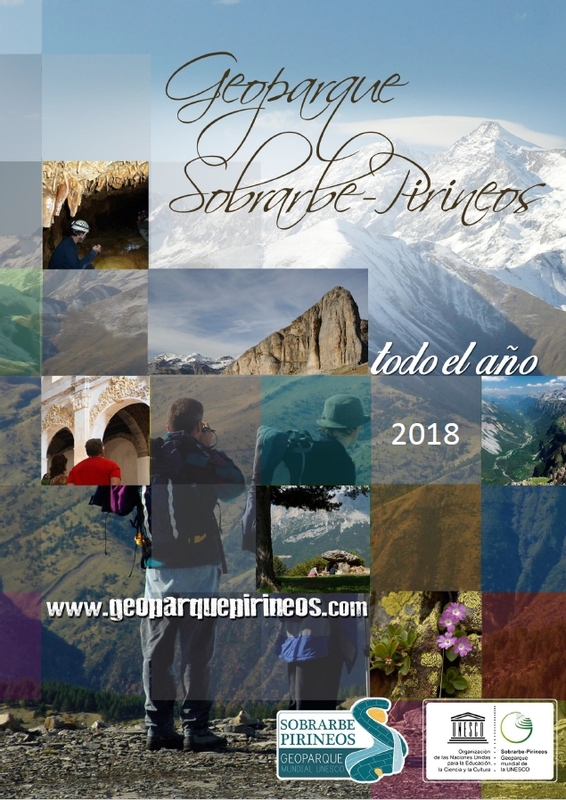 In order to make known in advance to the interested public scheduling activities and to plan their participation, have designed the Annual Calendar of activities 2018 Sobrarbe-Pirineos Geopark. It also wants to be a tool for the Collaborating Entities with Sobrarbe Geopark so they can organize, if interested, offers its services (accommodation, activities, food ...) that integrate with and complement the activities planned by the Geopark. This calendar will be updated according to the new activities to be programmed. And always each activity will spread and be publicized individually in dates next to its realization.